The Dome Valve is used in a wide variety of applications in almost every process. The unique closing and sealing action of the Dome Valve enables continuous reliable operation where conventional valves fail to perform. The Dome component and the seal are completely shielded from the flow of material and the crank shaft drive allows unrestricted flow of material through the valve. 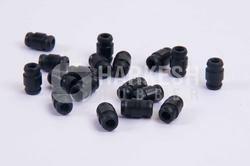 Vacuum brake valve seal kit. Backed by the valuable assistance of our adept and talented professionals, we have been able to provide an excellent quality gamut of Inter DI Valve Seal that is developed in tandem with industrial values. We are offering an extensive series of Rubber Butterfly Valve Seal. These products are extremely employed in the market for diverse purposes. 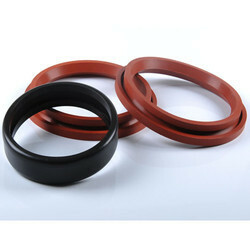 We are offering Rubber Butterfly Valve Seal to our clients.